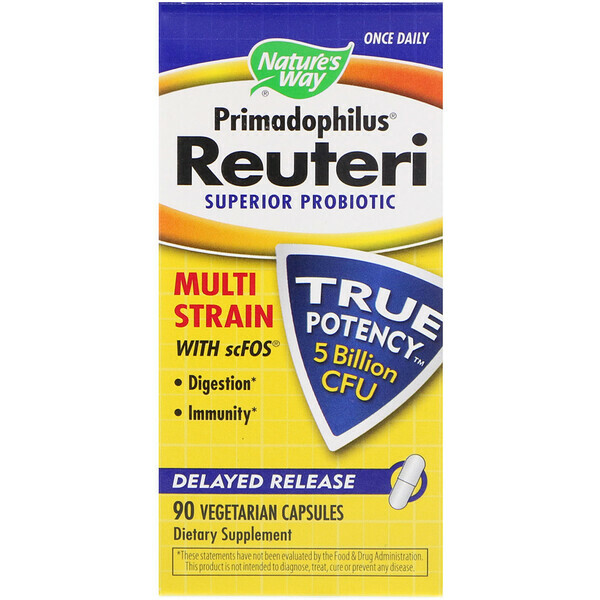 Lactobacillus reuteri is a unique probiotic strain that has been show to colonize the intestines and help maintain digestive balance and support immune health. 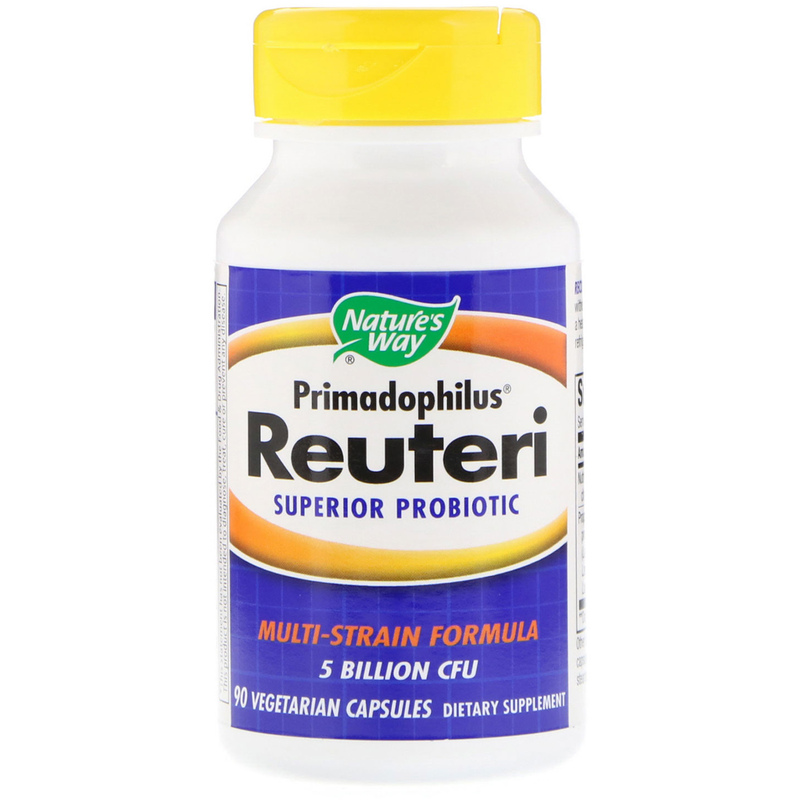 Primadophilus Reuteri fortifies the intestinal tract with active lactobacillus cultures. Primadophilus Reuteri contains at least 5 billion CFU through to the expiration date on this box. 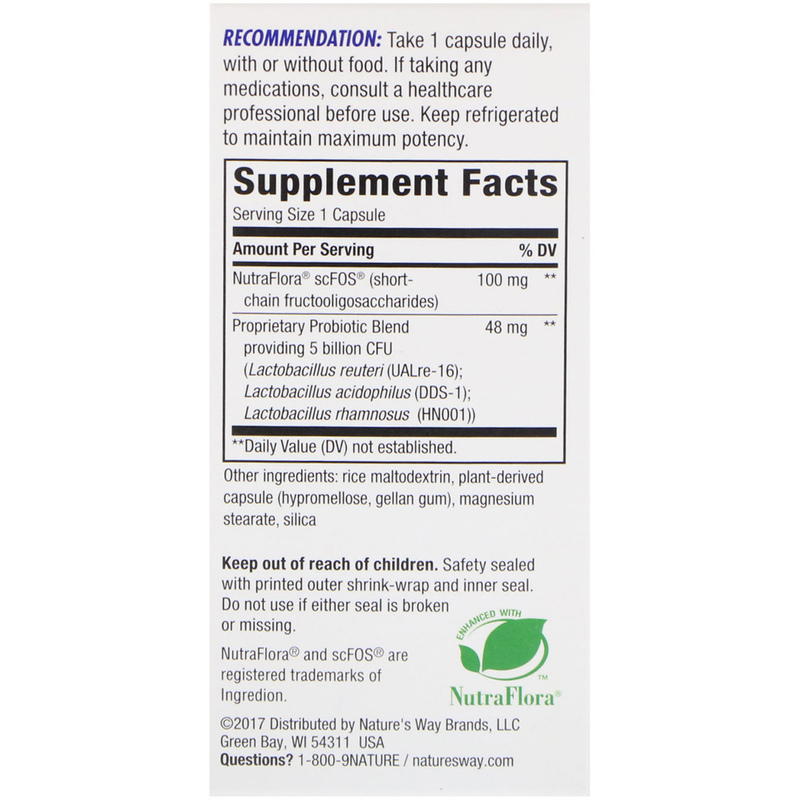 Most other probiotic brands claim their potency as of time of manufacture. Rice maltodextrin, plant-derived capsule (hypromellose, gellan gum), magnesium stearate, silica. Gluten Free. No sugar, salt, wheat, soy, dairy products, artificial colors, flavors or preservatives.